Want to get on Jeremy Kyle Show? DO YOU HAVE A STORY TO TELL? WANT TO APPEAR ON JEREMY KYLE? If you’ve got a story that you think would be worthy of an appearance on the Jeremy Kyle show, have you ever thought about selling your story to a national women’s magazine as well? SWNS is here to get you the best deal for your story. We provide the entire national press with stories, pictures and features. We’ll consider any story as long as it’s true and includes real names. The story also needs to include photos of the people involved, but we can take photos of you if necessary. We will auction your story to the highest bidding magazine. You can make anything from £50 to £5,000 depending on how much the magazines want your story. You can apply to be a guest on the Jeremy Kyle show here. 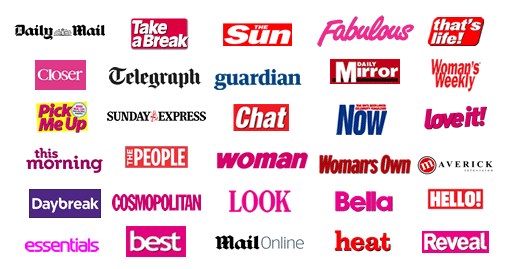 Please note that in addition to supplying national magazines and newspapers with interesting real-life stories and breaking news stories, SWNS also arranges guests to appear on This Morning, Daybreak and many other television shows including real-life documentaries. SWNS has its own television production company, and will soon be running its own regional television channel. If you have a story that you think would make an interesting documentary, let us know about it. We’ll consider any story. To find out more about how to sell a story, visit our Sell My Story information page. Lots of people are often nervous about dealing with the press, but not all of us are the monsters that have been portrayed in the press recently. Our team are friendly and professional, and you will be in total control of your story. We rely on referrals and people coming back to us time after time, so we always make sure that you’re happy, which is why SWNS has the best reputation in the industry. We would be more than happy to have a chat and answer any questions or concerns that you might have.